North India has within itself an array of picturesque locations with diverse cultural heritages. There are many locations in North India that enthrall tourists and explorers alike. The mere diversity and distinct topography in various regions of the north make it amusing for tourists to venture into the different destinations situated here. Ranging from the deserts of Rajasthan to the mountains of Himachal, each location harbors its own charm and historic relevance. North India is definitely an area for tourists to explore ancient monuments. Several locations in North India including Delhi harbor a range of buildings that were built during the Mughal era which stand till date. North India is of course also famous for the diverse wildlife found in several protected forest reserves. Jim Corbett National Park is revered as the oldest Wildlife Sanctuary of India and also a major contributor to the preservation of Royal Bengal Tiger. The only way one can fathom the beauty of North India is by visiting it in person. Enlisted below are ten most popular tour packages that ensure a time well spent for tourists in North India are inclusive of lodging, meals and travelling. This tour package takes you through the scenic landscapes of Leh and across the cold desert of Ladakh. The trip spans a total of seven days wherein various monasteries, temples and stupas will be visited, some of which date back to 11th century AD. Moreover, the Magnetic Hill is a spectacle to behold, bearing an odd geo-magnetic anomaly. Next is a trip to Nubra Valley will commence through Khardung-La. Pangong Lake, located at an altitude of 14000 ft., will also be visited. The cost of the entire journey will come up to INR 38,387/-. Manali is considered to be a popular tourist destination due to the scenic beauty and culture it holds within itself. This tour package takes you on an affordable four-day trip for INR 6900/-. The entire trip is planned for tourists to spend a day of leisurely tour through Manali and continue on to monasteries, hot springs and local attractions. Further, a road trip to Rohtang Pass is arranged and the destination set is Snow Point at a distance of 50 kilometers. A trip to Kullu follows suit. Lastly, a trip to the hot water springs of Manikaran will commence. For stepping out of routines and refreshing one’s mind, nothing works better than taking a four-day long trip to Srinagar. The first day is reserved for sightseeing and exploration of the town including street markets and the famous Lal Chawk. Astonishing gardens in Srinagar are explored later in the day. Shikara rides will be made available for tourists to explore Dal Lake. The second day will be spent visiting Shankaracharya Temple and several famous gardens of Srinagar, ending in a leisurely stroll through Boulevard Road, followed by a road trip to Gulmarg. There will also be trolley rides, snow sports and local cuisine sampling. The entire trip would come out to cost INR 10000/-. This holiday package is a trip for exploring Delhi, Agra and Jaipur. The journey starts in New Delhi, where remarkable sights of monuments including Red Fort, Raj Ghat and Jama Masjid are observed. When in Agra, the tourists will be taken to behold the extravagancy of Taj Mahal along with Agra Fort built in red sandstone. Further, a drive to Jaipur will refresh one’s understanding of ancient India with the marvelous sights of Fatehpur Sikri and Buland Darwaza. The trip ends at Delhi after exploring various sites of ancient wonder in Jaipur. The entire trip sums up to the cost of INR 10400/-. Jannat-E-Kashmir tour package includes a six day stay in the valley of gods, costing a sum of INR 13035/-. The trip would include sightseeing around the city of Srinagar, the summer capital of Kashmir. A ride on the Shikaras in Dal Lake would be arranged for tourists on the first day. Furthermore, the natural beauty and open landscapes of Pahalgam will be on the itinerary. Skiing trip to Gulmarg will be arranged later along with trolley rides. Next day, there is a road trip to Srinagar with the destination being Mughal Gardens. For water-sport enthusiasts, this trip offers an enthralling experience with Extreme River Rafting at Rishikesh. The trip includes complimentary DVD screenings. Commencing at Rishikesh, the first thing up the itinerary is a biking trail around the area. The package also includes nature walks and sightseeing throughout the day. River rafting sessions held at Shivpuri stands to be the most exciting aspect of the trip. A pooja ceremony is also held during the stay for religious pilgrims and tourists. The trip comes out to a total cost of INR 3450/-. Shimla is a popular hill station in Himachal Pradesh with a thriving tourist inflow all year long. This tour package consists of three days’ worth of exploring Shimla wherein Victorian architecture can be observed throughout the town. A trip through the Mall Road is organized along with a visit to Indira Bungalow and Himalayan Zoo. An excursion through the Mall road enables tourists to visit Shimla church and Town Hall later on. This entire trip comes up to a cost of INR 8000/-. This tour package consists of refreshing environments in the heart of Himachal Pradesh. The tour starts in Dalhousie with a visit to Khajjiar, followed by an afternoon of sightseeing. Further ahead on the road, Dharamshala and McLeod Ganj await arrival, where St. John Church and Kangra Art Museum are popular tourist spots. A walk around McLeod Ganj would bring forward multitudes of art shops and continental restaurants. The cost of this package would come around to INR 16100/-. This is an exciting honeymoon package for newly married couples who wish to bask in the extravagant hill stations of Shimla and Manali. The trip lasts for six nights and begins with a drive to Shimla from Delhi. At Shimla, various tourist attractions include Mall Road, Himalayan Zoo and Shimla Church. After three nights, the journey to Manali commences. Activities in Manali would include a visit to Vashista Kund and a drive to Rohtang Pass. Paragliding will also be made available for tourists. The entire package comes around to INR 29700/-. This package comprises of a five-night stay in Rajasthan within a pocket-friendly deal. 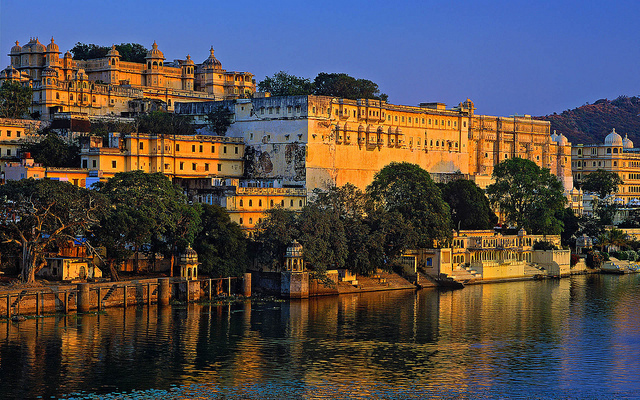 The trip focuses on excursion through Jaipur, Pushkar and Udaipur. The first destination is Jaipur where the first day is reserved for exploring the City Palace along with the awe-striking Amer Fort. The continuation of the journey is commenced at Pushkar, which is famous for its revered Ghat and Brahma Temple besides the rich local art. Ending at Udaipur, the package holds a list of activities lying ahead including boating and visiting Maharana Pratap Smarak. The entire trip costs up to a sum of INR 14000/-. North India is filled to the brim with artistic and naturalistic places to visit. It is a sight to behold in every corner one looks. The only way one gets to bask in its beauty is by experiencing its extravagant heritage first hand. The aforementioned tour packages enable one to be guided towards a hearty journey through these lands.